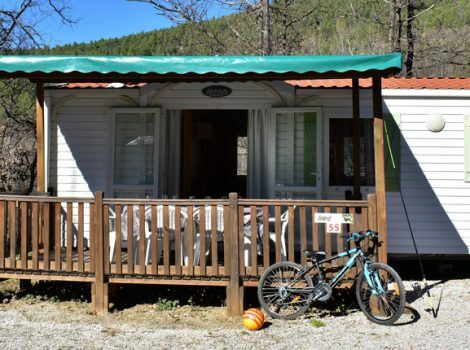 We are delighted to welcome you in a family campsite and its 90 pitches between sea and mountains where its good to stop and have a pleasant holiday beneath oak and chestnut trees. 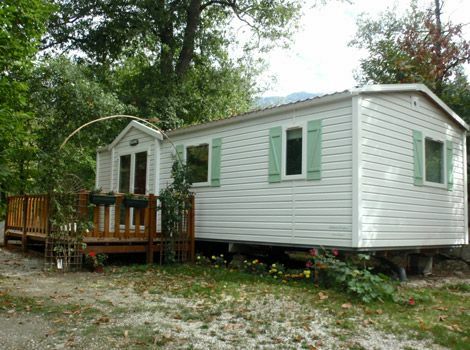 With a surface of 3 hectare, the campsite situated at the entrance of the village of Vernet les Bains. The centre of the village is 1200 meters and the supermarket only 50 meters away. 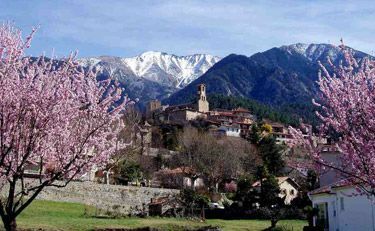 Vernet les Bains is a small thermal village nestled at the foot of Mount Canigou and benefits from a Mediterranean micro-climate protected from dominant winds. 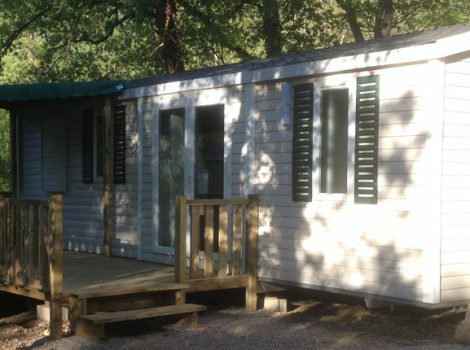 At the heart of the department of the Pyrénées Orientales in the region of Occitanie, Vernet les Bains is the ideal place to unpack your suitcases, relax and discover a region with a rich patrimony and bustling with activity due to its proximity with Spain, Andorra and the Mediterranean sea. Concerning the facilities the campsite offers it’s heated swimming pool (7,50 m*12,50 m) with its balneo bench. 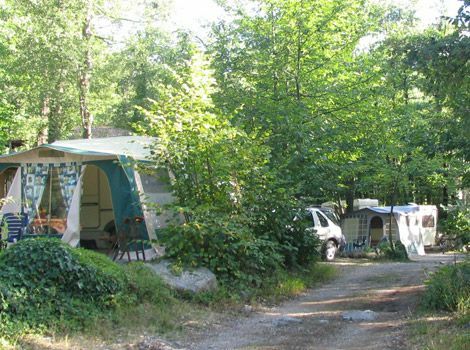 Followers of campsites will find shady pitches for their tents, caravans and camping cars. 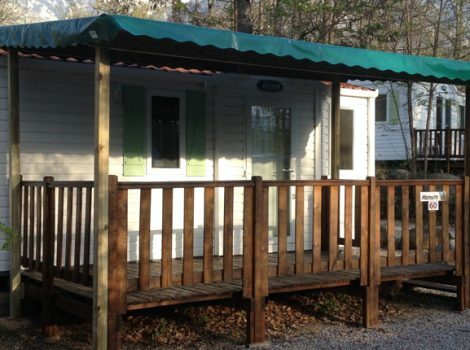 We also rent out mobile homes 1 to 3 rooms for 2 to 6 people. 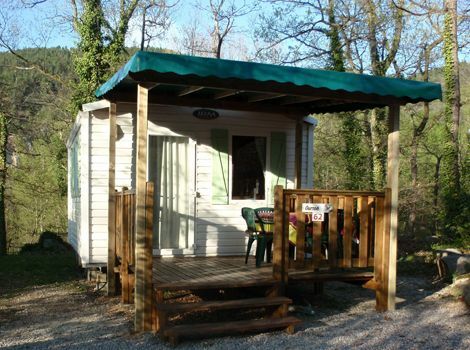 Hope to see you soon at the Camping DEL BOSC for an unforgettable holiday. Vernet les Bains is a small thermal village nestled at the foot of Mount Canigou (2785 m) near gorges and lakes, in 45 min of the Mediterranean Sea. 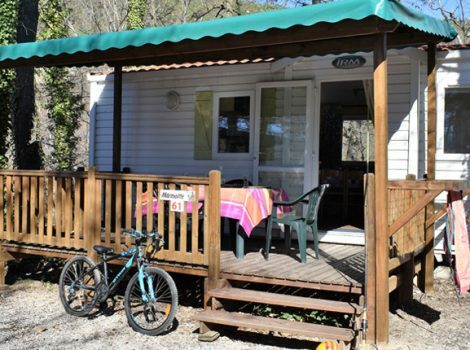 Vernet les Bains is a small thermal village nestled at the foot of Mount Canigou and benefits from a Mediterranean micro-climate protected from dominant winds. 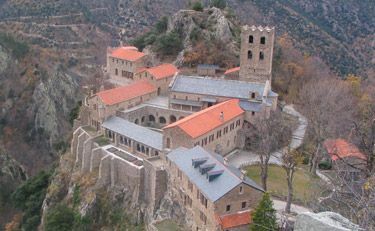 Located at 1094 meters above sea level, the Saint Martin du Canigou Abbey is in the heart of the Canigou massif. 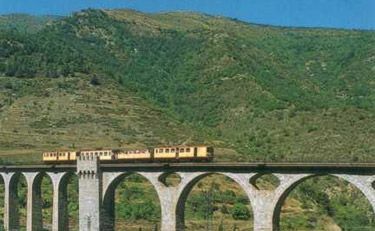 Excursion of 63 km in Yellow Train linking Villefranche de Conflent to Latour de Carol offers you exceptional panoramas on the valley of the Tet and the plateau of Cerdagne. mastercard, maestro, visa…espèces ou chèques.